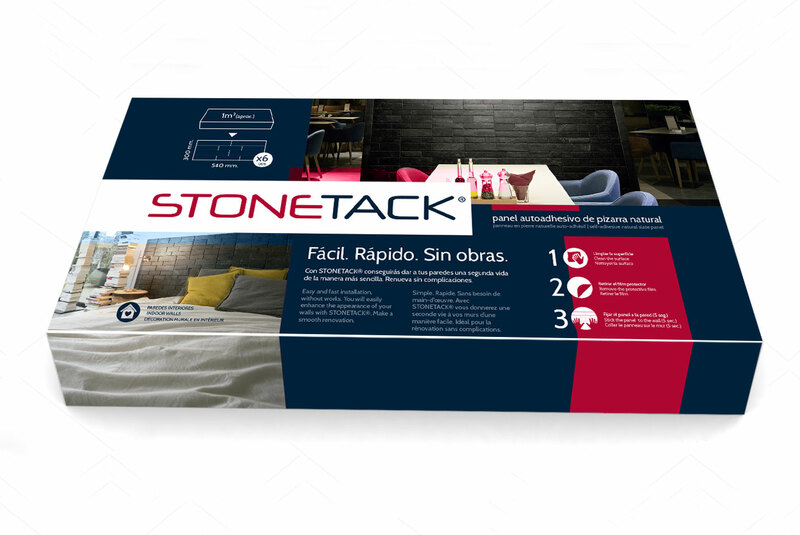 STONETACK™ is the first-ever self-adhesive natural slate panel for decorating interior walls. This product is 100% eco-friendly, easy to install in three quick steps, and ideal for use in homes and businesses. Truly a market innovation, the panels are available in boxes of 6 units which allow you to cover a surface of approximately 1 square meter. Incredibly versatile, STONETACK™ can be installed on any type of interior wall, and goes perfectly with natural materials such as wood. Each panel is made of recycled natural slate slabs. Stonetack™ can be installed in minutes with an easy, 3-step process. These panels can be adapted for any type of space and combined with other materials. Natural slate’s unique, exclusive textures creates both rustic and contemporary environments. 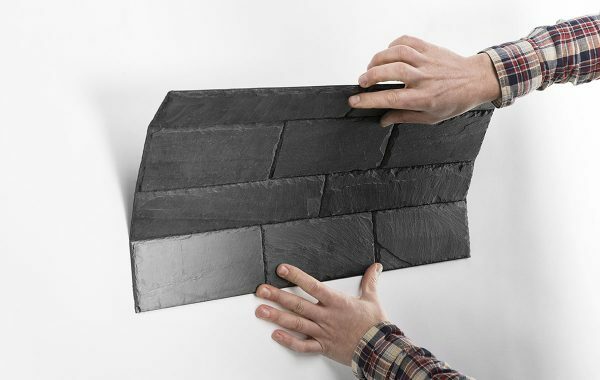 STONETACK™ is manufactured from recycled natural slate slabs that come from our own quarries. Each panel includes a thin layer of high-performance acrylic adhesive that guarantees the panel’s perfect adhesion to the wall. In addition, its durability has been verified with a variety of tests by CUPA GROUP’s R&D department. STONETACK™ panels are distributed in individual boxes of 6 panels, each with a surface area of 54 x 30 cm, and between 5.5 to 7.5 mm thick. 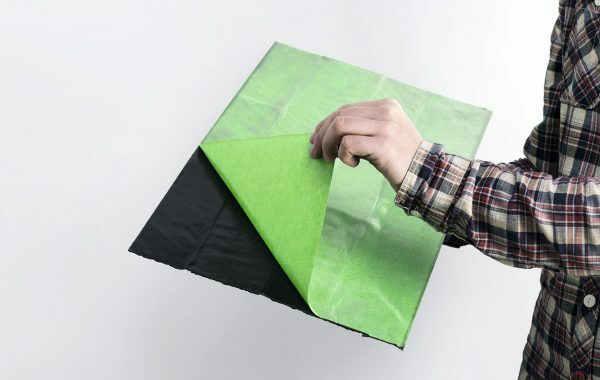 Just one box is enough to cover a surface of approximately 1 square meter. Its dark-hued brilliance and elegant texture add an authentic, natural look to your decor.